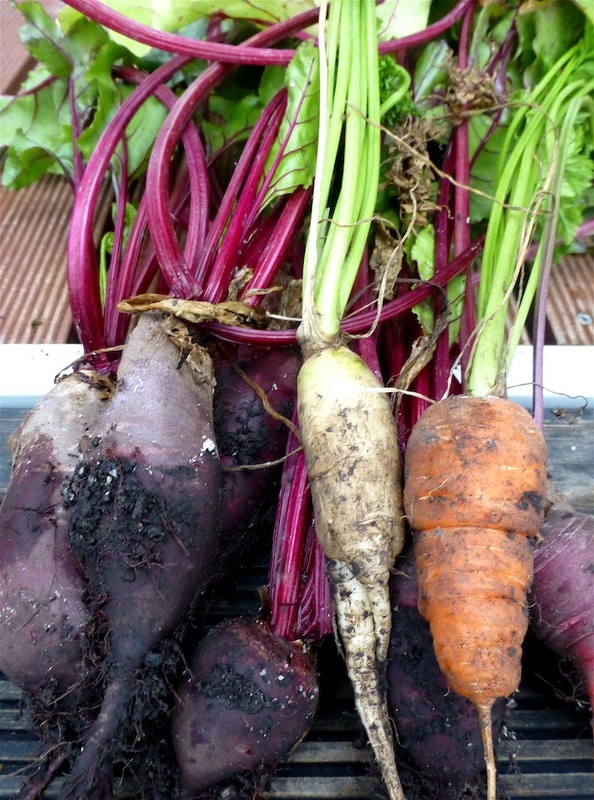 The produce from Mhrylyn Hanson-Wallis’s garden and what one could do to sustain a little of nature’s generous summer bounty in preparation for the more unproductive winter, was the topic at the new and very plush Bruny Island Community Health Centre in Alonnah on Bruny Island. Not only does this fine facility provide residents and errant tourists access to quality health and community services – with a welcome emergency service manned by volunteer ambos – but it also includes a range of workshops for residents – for free!! 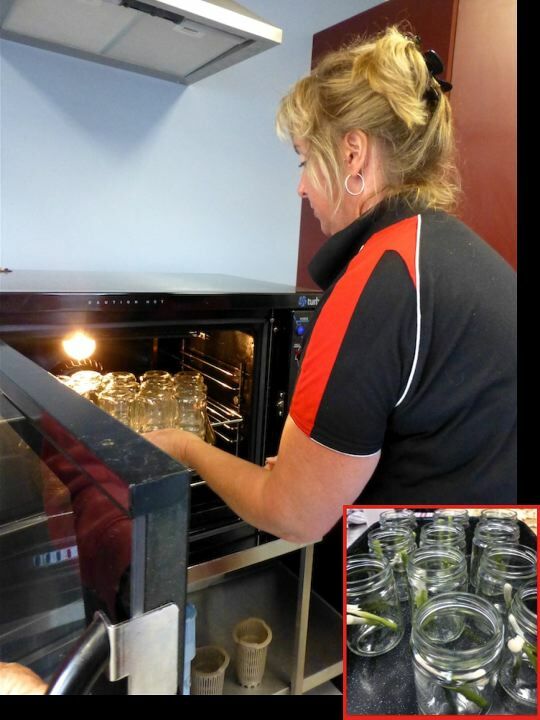 Several recently on offer appealed to Brunyfire – but it was the bottling session of a few weeks back, run by Mhrylyn with the produce from her prolific garden in Simpsons Bay…….. …….that found Brunyfire learning how to make chutneys, pickles and preserved fruits. 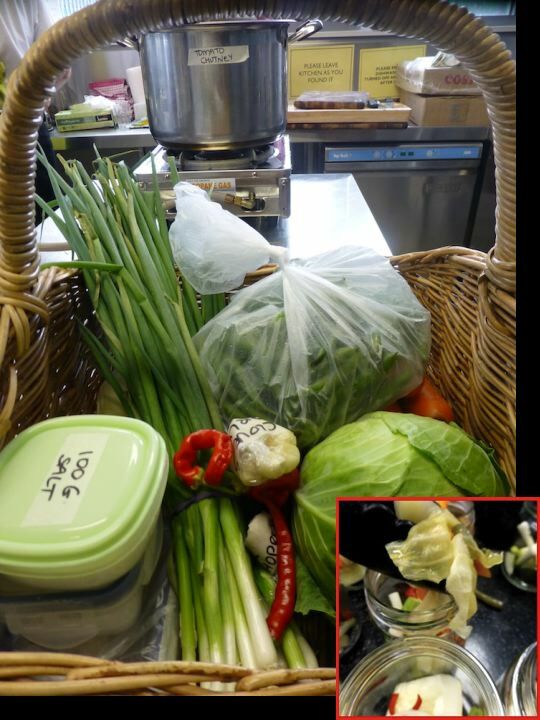 We didn’t have to bring a thing to class, Mhrylyn generously supplied the participants with all they needed – the vegetables……. ……..and fruits……… ……… came from her Simpson Bay home. 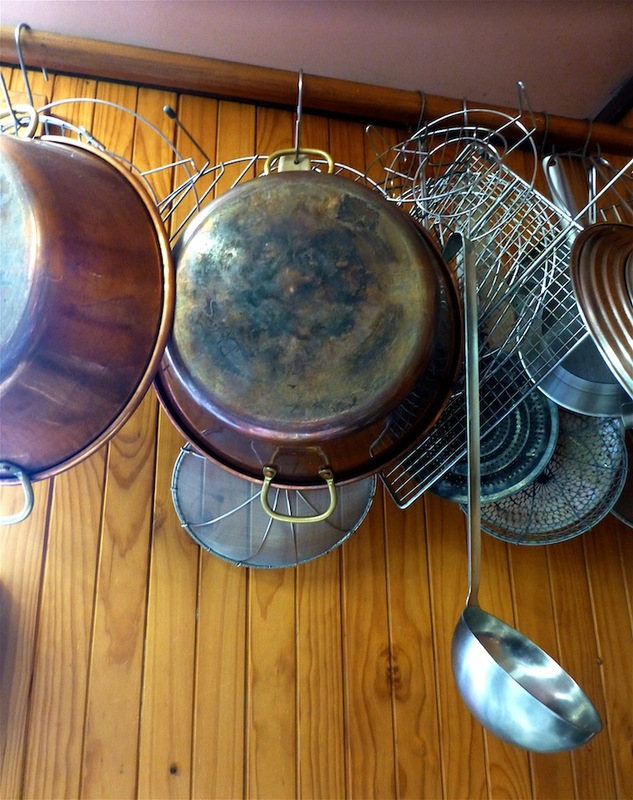 We worked through three specific recipes, discussed the importance of hygiene and the need for sterilization……… ………and the merits of fresh, local produce. 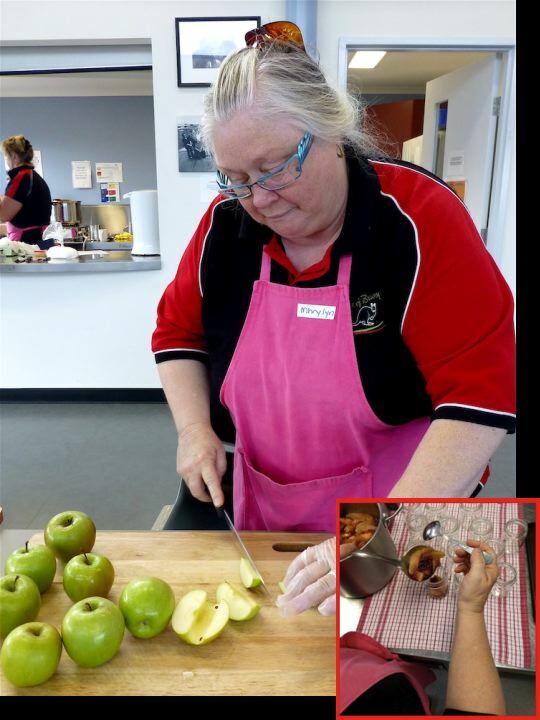 Firstly, we prepared a quick and easy tomato chutney – and we all contributed to the peeling and chopping, stirring, boiling…….. ………and bottling the ingredients immediately in brand new, standardised jars and lids from local supplier, Plasdene, Hobart. 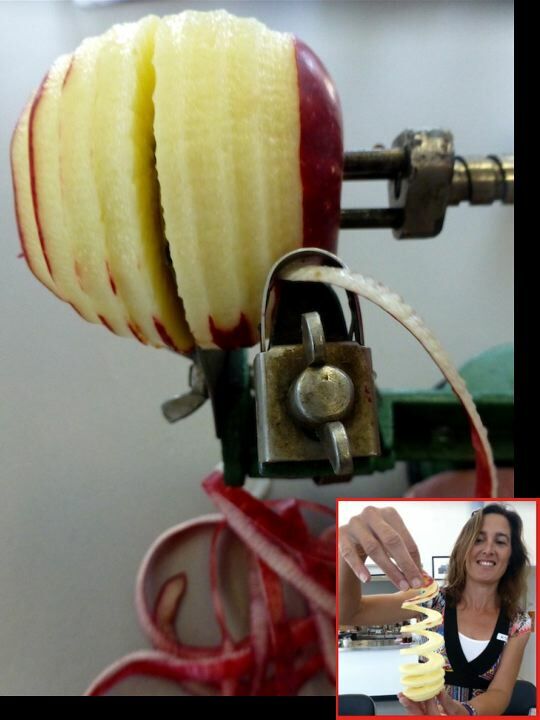 Then we prepared peeled and cored apples and de-stoned plums, making up a sugar syrup to bottle the fruit. 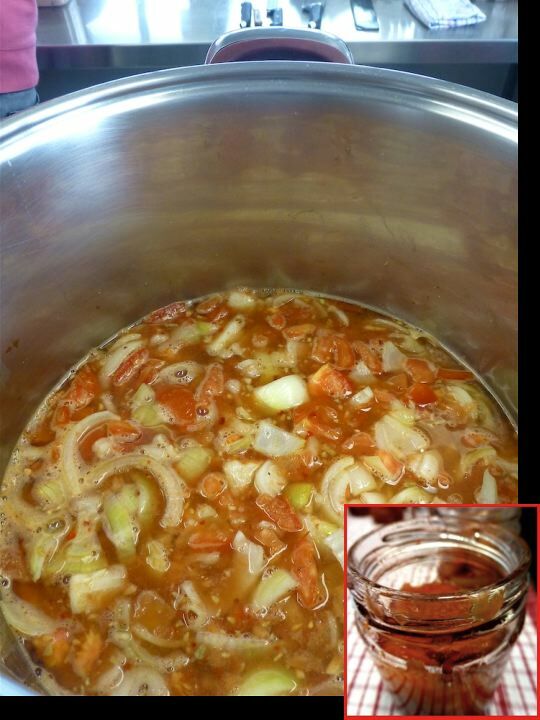 Whilst recycled jars can be used if carefully sterilized, Mhrylyn advised us to always use new lids. 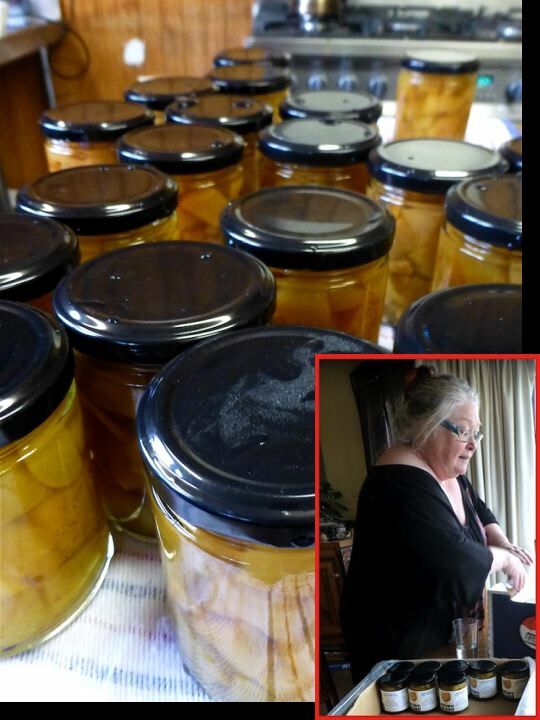 For her own gourmet food business, A Taste of Bruny, she purchases both jars and lids for the kitchen that she runs from her home, using both local and her own produce wherever possible. 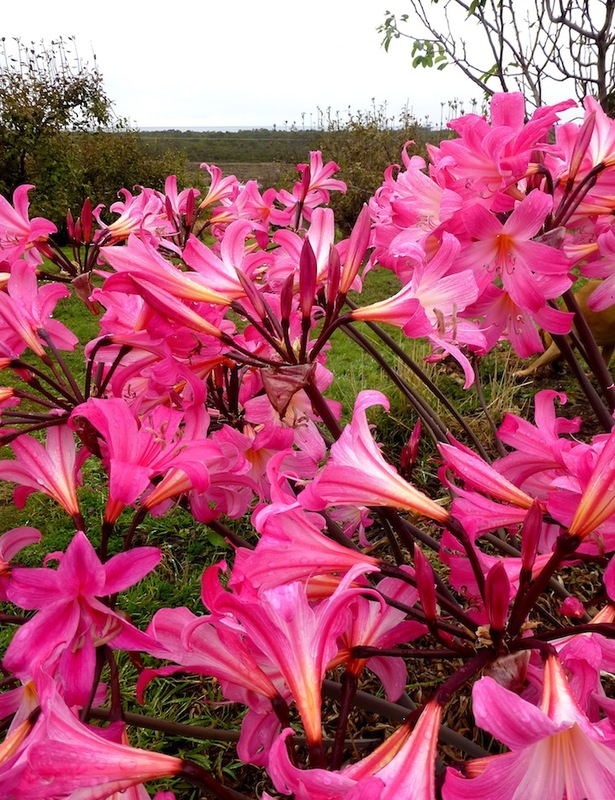 Mhrylyn’s garden is situated at Simpsons Bay, on the hillside overlooking the island’s isthmus. Brunyfire was curious about its location as it sounded familiar, and likely that she knew the house intimately. For many Christmas’s past, enroute to visit my mother at Alonnah, we would cross the isthmus and note the bright red roof on the hillside overlooking Simpson’s Bay. A familiar landmark at the time, and a regular stopping off point as artist sister Stef and her husband George Callaghan lived there for many years. 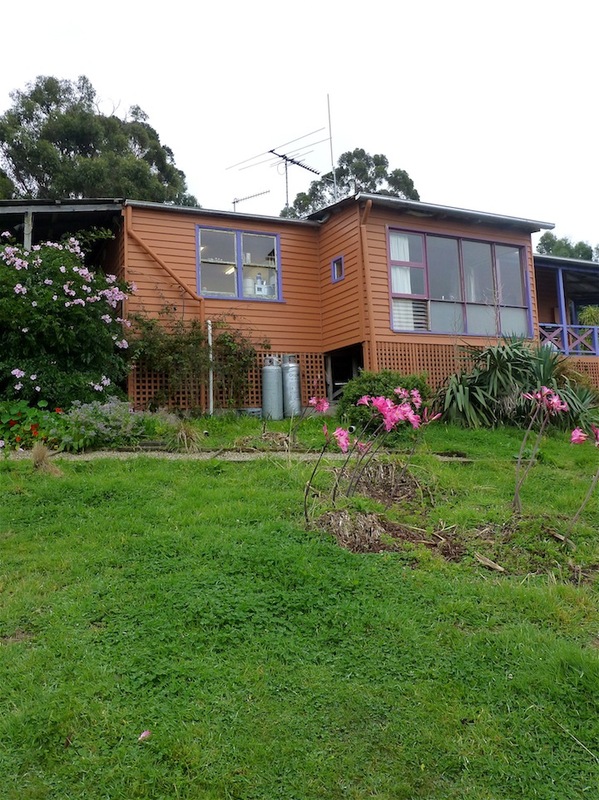 Brunyfire recalls a particular Christmas long ago, when the family had converged from around the Tasmanian mainland for the traditional sleepover – taking up floor space over most of the little house. On this occasion, eldest son, only in his early teens at the time, shocked and delighted us all with a particularly ribald tale – good to know he’s since applied much the same experience and notoriety throughout his life as a writer, editor, playwright and journo (documented to date in his first book) – now, for the time being, he’s the respected editor of the Torres News and, to date, is finally going strait. But back to the magic of Mhrylyn’s garden, despite it being a dreary late autumn afternoon during last week’s visit, the place was alive with colour. After being thoroughly checked over by both resident dogs, Brunyfire was welcomed into the warmth and activity of a thriving gourmet produce enterprise. It is here Mhrylyn and her team create a range of chutneys, marinated olives, sweet and savoury sauces, pastes and fruits in brandy under the A taste of Bruny label, available through a number of outlets. 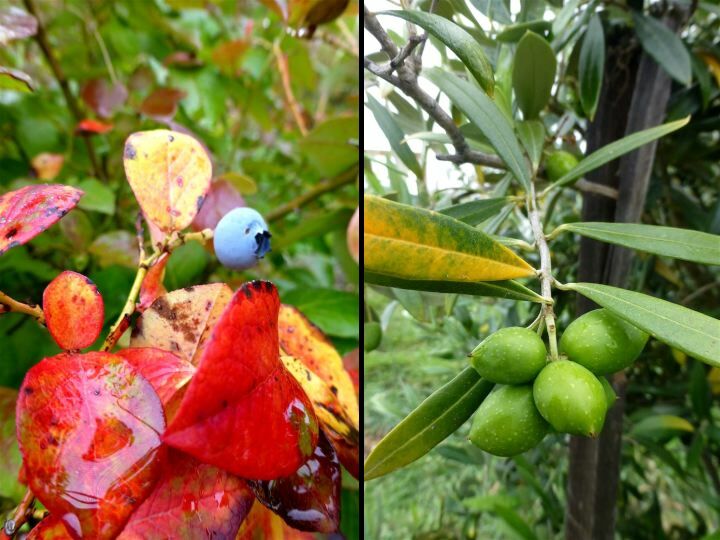 The garden’s bounty yields up a range of organic produce, all of which are grown for their culinary and medicinal qualities. 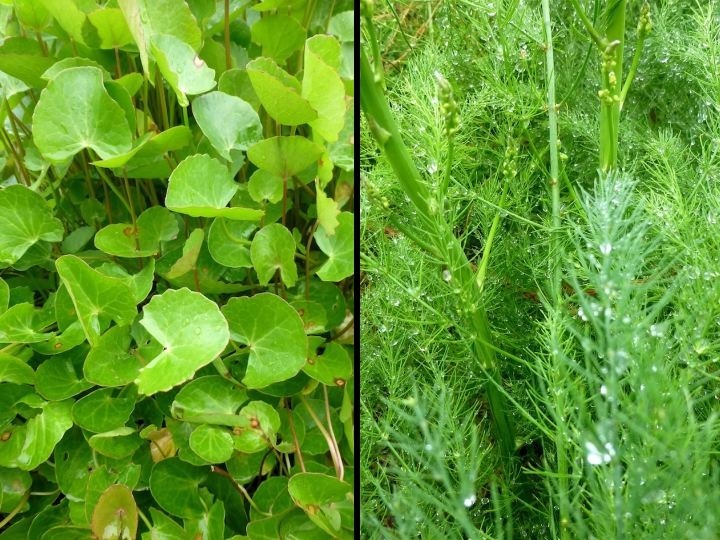 Such as Gotu Kola just outside the back door in Will’s newly constructed, raised herb beds (Centella asiatica or Indian Pennywort – image on the left). Brunyfire had come across these attractive looking greens just recently whilst traveling in Sri Lanka last year – usually served up as a kind of herbal gruel at breakfast………. ……….and used as a traditional Ayurvedic medicinal herb as well as in traditional African and Chinese medicine, it is packed with life affirming goodness. The feathery tops of asparagus on the right, whilst beautiful to look at, are merely waiting patiently for a pruning. Having just incorporated black sesame seeds for the first time in a Japanese inspired dish (story to come! ), it was interesting to note that the black seeds of the Nigella flower (Nigella sativa – on the left) are often sold as black sesame seeds. 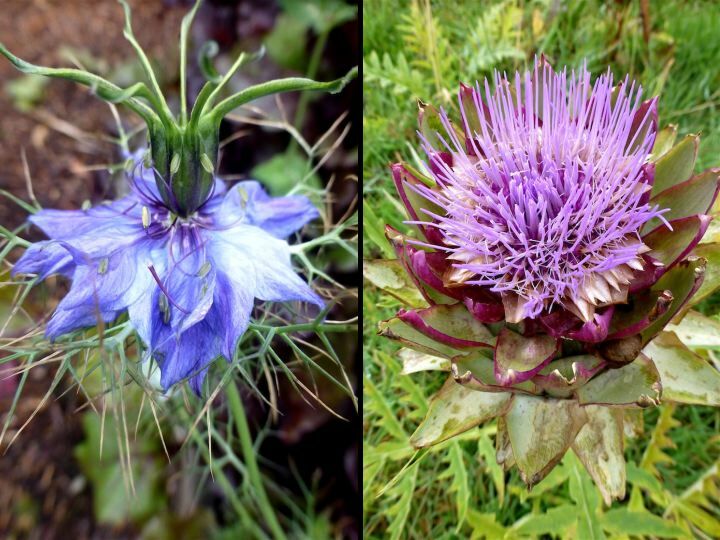 Nigella seeds on the other hand, which is what is produced from this beautiful flower, are an ancient medicinal herb. Beautiful, but past its use by date, the heart of the globe artichoke, a kind of thistle on steroids, makes for tasty eating before it gets to the flowering stage. Mexican Tarragon (Tagetes lucida – on the left) is a kind of marigold and is a native of Guatemala and the Mexican state of Oaxaca. A member of the sunflower family its leaves and flowers are used both medicinally and as a culinary herb. The leaves have a tarragon-like flavor, with hints of anise and can be used as a tarragon substitute and the flowers have a peppery taste, a little like marigolds. 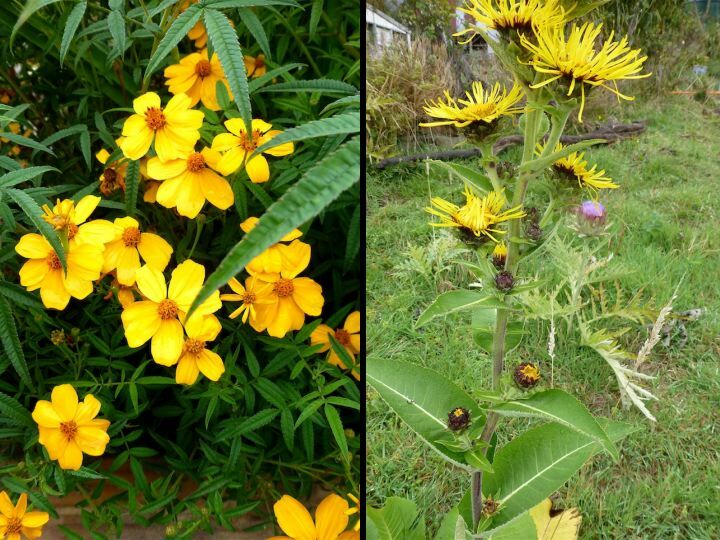 Elecampane (Inula helenium – on the right) can make an excellent expectorant if the roots are infused in honey. (Note: check the Polishing Stone site for a recipe). 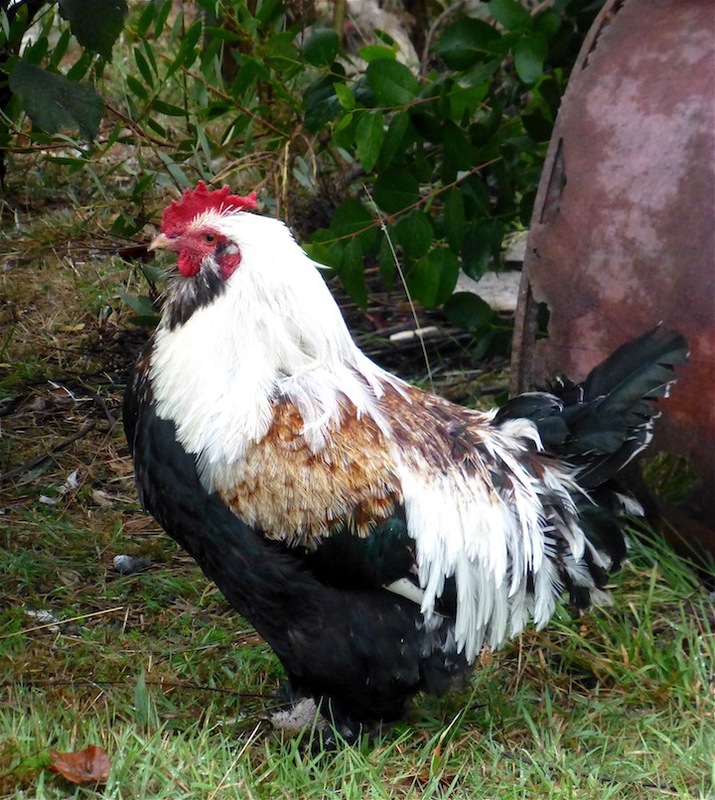 And finally, romping around happily with his harem in the olive grove at Mhrylyn’s garden is one of her Hardy Faverolle roosters. They tolerate cold weather better than a lot of other chooks and make good eating while the hens continue to lay during winter. Thanks to Mhrylyn and Will for their generous hospitality.